Once the fire has been extinguished, it is time to start getting things back to normal. The contents and structure of your property will most likely be wet, and will almost certainly have been affected by smoke beyond the areas that are immediately visible. DID YOU KNOW? Smoke particles are carcinogenic and can penetrate throughout the area affected by fire and beyond. 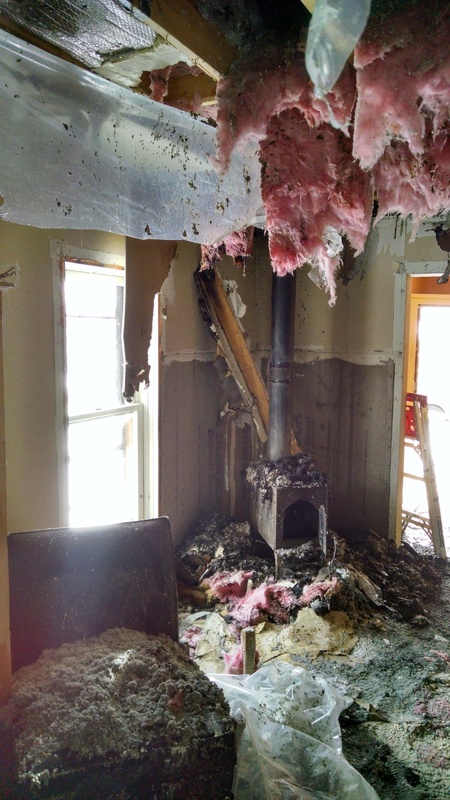 Smoke residue abatement during fire restoration is one of the most important steps prior to reconstruction, as it will help permanently eliminate any odors that may linger after the work is complete and ensure that potentially harmful smoke particles are completely removed from your property. Our role is to dry, clean and deodorize your property. These steps require properly trained and supervised personnel as well as specialized equipment and as such it isn't a task that can be easily or effectively carried out by the homeowner. DID YOU KNOW? We are not only certified in Fire and Smoke Restoration but also in Water Damage Restoration, Odor Control, Carpet Cleaning and Upholstery Cleaning so we can handle every aspect of the process quickly and professionally. Our IICRC certified project manager will accompany you on a walk-through of your property, noting affected areas and content in each room and putting together a comprehensive plan to restore your home to its pre-loss condition. Special attention will be paid to high value or fragile items, such as antiques, paintings, rugs, books and personal documents. We will discuss with you all possible options for restoring these items before proceeding. DID YOU KNOW? We have close relationships with companies who can help you restore your home and its contents, including asbestos abatement professionals, fine art and rug restorers, electronics repair experts and licensed general contractors.